Zhejiang Chouzhou (CBA) strengthened their roster with addition of 32-year old American forward Tyler Hansbrough (206-113kg-85, college: N.Carolina). 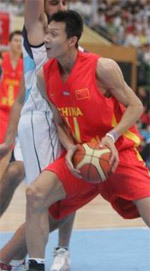 He played most recently at Guangzhou Long-Lions. In 39 CBA games in China he recorded very impressive stats: 20.8ppg, 9.9rpg and 1.3spg last season. The previous (16-17) season Hansbrough played at Fort Wayne Mad Ants in U.S. League where in 16 games he averaged remarkable 19.0ppg, 12.8rpg and 1.1spg. He helped them to end the regular season as a second best team in D- Central Division. In 2009 Hansbrough was drafted by Indiana Pacers (NBA) in first round (13th overall). 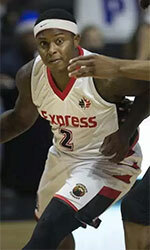 The former University of North Carolina standoutis in his tenth season in pro basketball. Among other achievements he received USBasket.com All-NCAA D1 1st Team award and Orlando Pro Summer League 1st Team award back in 2009 at his college time. Hansbrough has played also professionally for other NBA teams like Toronto Raptors and Charlotte Hornets. A hustle player who loves to hit the glass as hard as possible on both ends of the floor ... Has great hands that he uses well around the basket ... Makes great decisions in the post; likes turning to his left shoulder and using a right handed baby-hook -or a mini hook while creating contact with his left ... Hansbrough creates space well in the low post and tries to position himself as close as possible to the basket. Struggles defending taller and more athletic players even at the college level ... Not athletic enough to overcome his size disadvantage to be a standout at the next level ... Needs to develop face-up game.